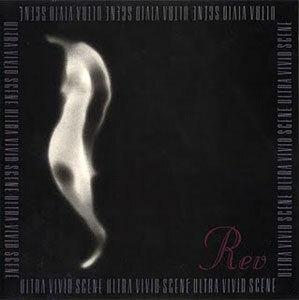 Ultra Vivid Scene was pretty much a solo project for Berklee dropout Kurt Ralske. He played everything on the first album and, though he later assembled a band to play with him, the project was definitely his thing and his thing only. These days they're pretty much forgotten but I think anyone with a passing interest in the likes of the Velvet Underground or the Jesus and Mary Chain, two bands Raske was clear heavily influenced by, owes it to themselves to check this band out. They weren't around long, only six years or so, and they only released three albums. The last of these albums was Rev, which in my opinion is a nearly perfect album and one of the truly overlooked classics of the early 90s. The album opens with its only minor blemish, its weakest song, "Candida", a very upbeat, poppy track that's kind of out of place on the album. But after that it's smooth sailing, you are enveloped by the heavy smoke clouds that hang over this album. Track after track, Ralske's detached vocals and shimmering guitar pull you further and further into an opium dream until you reach the core, a song called "Thief's Love Song" which with it's syrupy tempo and delay-heavy guitar rests like a gorgeous black hole at the center of this album. Then it's back up, up, up and through roaring clouds of color as each song seems to try to outdo the one that came before with beautifully melodic guitar jams. The album reaches it's climax with "Blood and Thunder", a song whose heavy drums and slide guitar bring out an intensity mostly unseen on the rest of the album. It all ends with crackly low-key guitar and cello in the perfect outro track "This is the Way". As I implied in the previous paragraph, not only are the individual tracks on this album almost universally fantastic, but the track sequencing is incredible too. This is one of those albums that really takes you a journey and it definitely works best when listened to straight through from beginning to end. © 2010 Musculature Inc. All rights reserved.